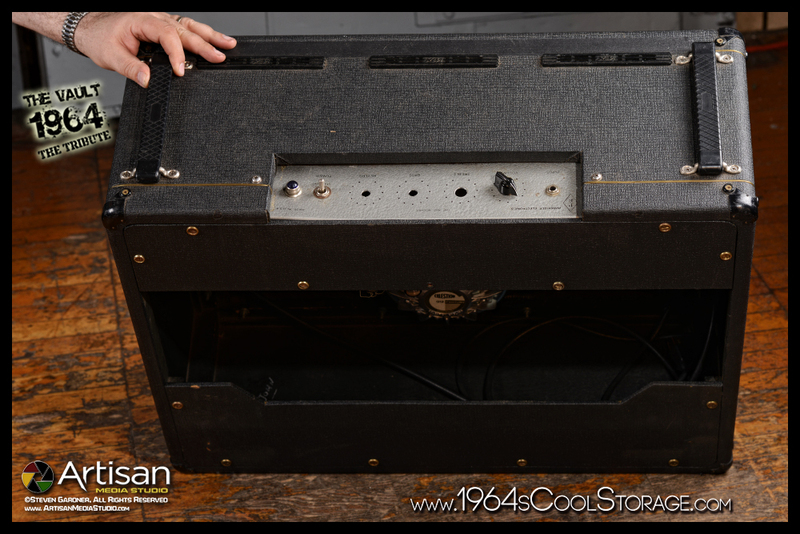 Since we were only going to use one 12” speaker, the next idea was to drop the power to 15 watts, much like an AC15 but keeping the AC30 top boost circuitry. So we used two EL84s instead of 4 and also kept the original design using a 5AR4/G234 tube rectifier. It compressed the sound a bit and made it smoother, which we really liked. The other thing about using a 15watt circuit was that we could use smaller power and output transformers and a lightweight choke. 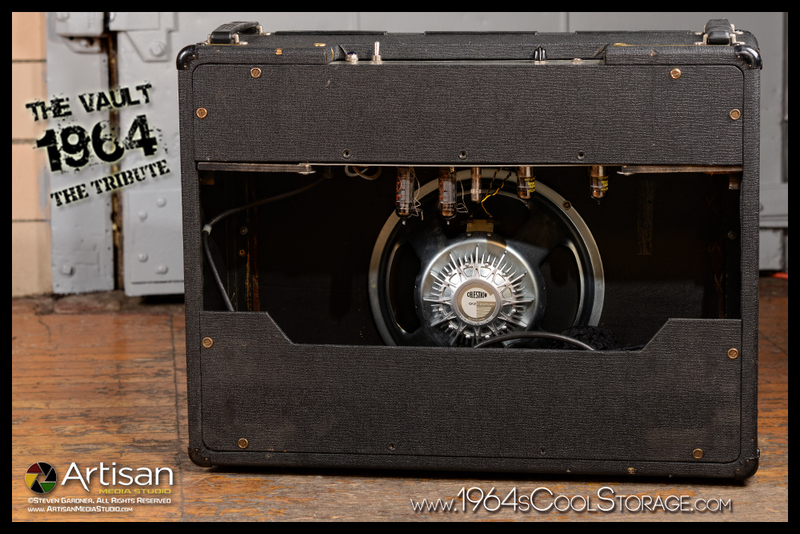 The original AC30 transformers are very bulky and heavy and not needed for our 15watt design. So more weight was lost. We used aircraft type aluminum for the chassis which further helped keep the weight down. For resistors, we used carbon composition types which are close to the original sound. We did use some metal film but only in the power stages of the amp and not the audio paths. For coupling caps, we experimented between Sprague “Orange Drops” and Mallory 150 type with the 150s winning out. The orange drops were too bright. The 150s had a warmer sound which we thought sounded better considering the amp is very bright sounding to begin with. 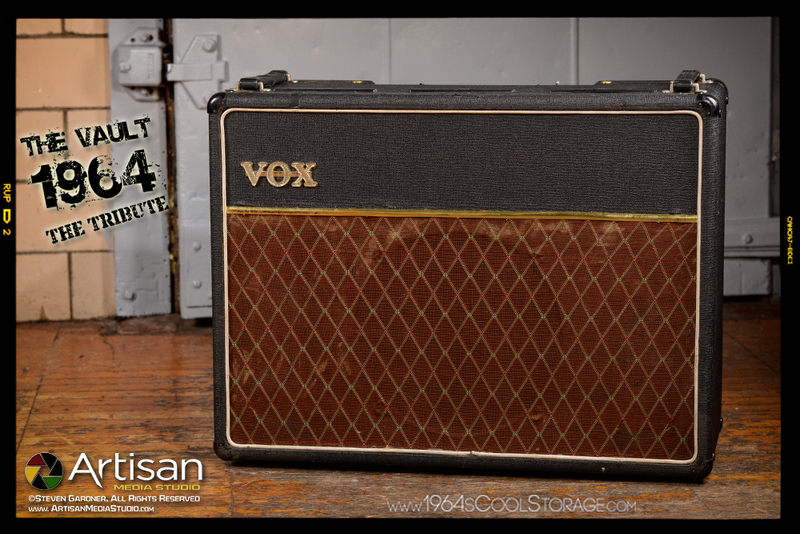 When I think of The Beatles and their gear, one of the first things that comes to my mind is a Vox AC30. It’s part of their signature sound and played a big role in “1964” getting that signature Beatle sound. The amps weren’t too hard to come by, but we were facing problems using them live by the mid 90s. The airlines were dropping their weight limits and an AC30 in a road case is not a light piece of gear! Around 90 pounds to be exact. So Mark Benson and I put our heads together to come up with a solution. 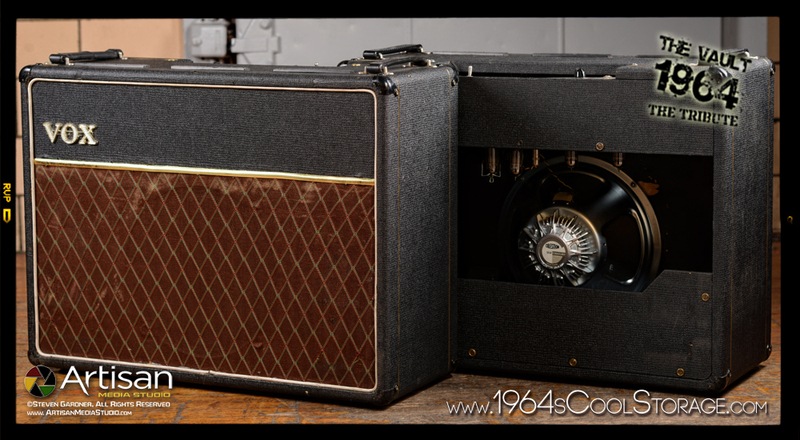 We needed an amp that had the look and sound of an AC30 but weighed at a lot less. So off to the drawing board we went. The first idea was to only use one 12” speaker instead of two Vox blue speakers. That knocked around 12 pounds off the total weight. 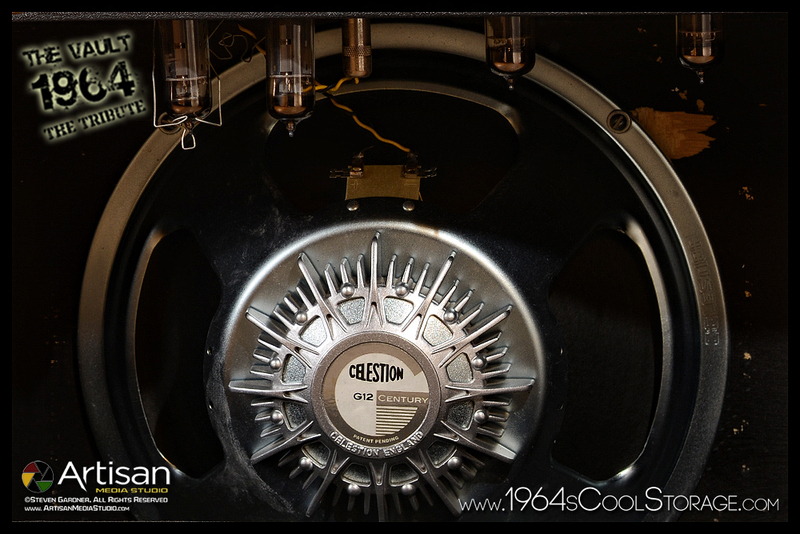 Then, we discovered that Celestion made a light weight neodynium speaker that came in around 3 pounds. That shaved a lot of weight off the project. The only problem was that instead of having a mid-range bump like the Vox blue had, this speaker was sort of an inverse with significantly lower mids. It was a cool speaker but we were going to have to do some tone shaping with the electronics to get back the 500Hz bump the Blue had. Everything was built on glass epoxy eyelet type circuit boards that I designed and built in my shop. In fact, everything was built in my shop for the project. The only thing I sent out was the screen printing for the face plate. I used CTS pots because they were beefy and very smooth. The wiring was 20 gauge solid core Alpha wire which I also liked a lot. I used nickel plated hardware, Switchcraft 1/4 “ jacks and brass screws and finish washers on the rear panels. I painted the face plate with gray “hammertone” paint. It had a real nice look although not an exact Vox look. It didn’t matter though because you couldn’t see the faceplate of the amp from the audience anyway. I used black chicken head knobs. 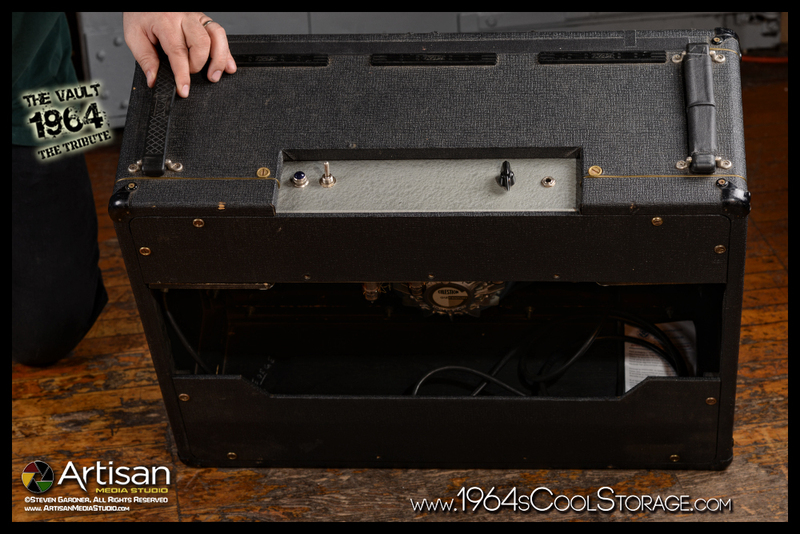 The cabinet had to have the look of a Vox AC30 so I used all Vox reproduction parts- black tolex covering, 3 top handles, accurate corners, golden insert cord, white grille piping, 3 plastic tube vents, Vox brown diamond cloth and a Vox gold logo. This was not appreciated by Vox/Korg as I did get a cease and decist letter from their law offices politely asking me not to build any more of them! Ha! Even though I had knocked the weight down considerably using one speaker and lighter transformers, I still wanted to shave off more weight. The last thing left to redesign was the cabinet itself. An original AC30 used 3/4 “ Baltic birch plywood in its construction. That is very heavy wood, especially in that thickness. So what I did was go with 3/8” Baltic birch in place of the ¾”. One problem is that with the 3/8” wood, the edges of the amp weren’t going to look correct so I glued 1” strips of 3/8” wood around the edge of the boards. Now the edges were ¾” thick, but the majority of the board was actually only 3/8” thick. On the rear, I used ¼” pieces for the rear panels. For the sound board, I went lighter and used a piece of 3/8” Baltic birch. The thinner pieces of wood really shaved a lot of weight off yet maintained the looked of ¾” thick pieces of wood. When all was said and done, I got the total weight down to 39 pounds. I built road cases for the amps using 1/4 “ABS road case laminate ply. The combination of the amp in the road case came in at just under 50 pounds, which accomplished our goal of coming in underweight for the airlines. It also made the amps a lot easier to transport around. One of my philosophies is the simpler the circuit, the better it sounds. Less circuitry means more clean tone from the amp. The original AC30 used bass, treble, and cut tone circuitry. At first I was using treble, middle and bass controls, but then decided to bypass the tone controls altogether and just hardwire tone shaping circuitry directly into the amp. No tone pots. Mark came over to my house along with Jimmy Pou and I had them play the vintage guitars through the amps while we dialed in the sounds using capacitor and resistor decade boxes. It was nice having the players there with their own touch using the same guitars. This way we could dial in the sounds exactly like we wanted. The “George amp” and the “John amp” ended up using different tone choices. We wanted the “George amp” to have a very midrange boost to it (500Hz) while the “John amp” had a little higher mid-range boost and more bass in the low end. All in all, I thought we got some really nice sounds that captured the authentic “Beatle” sound. We captured the sound we were after and came out weighing a lot less. This was great because it saved us from getting hit by the airlines with expensive freight charges. It was the only way we were going to be able to keep using real amps onstage to get the correct sounds! We had a lot of fun with the project.